The key is the symbol of unlocking new opportunities! 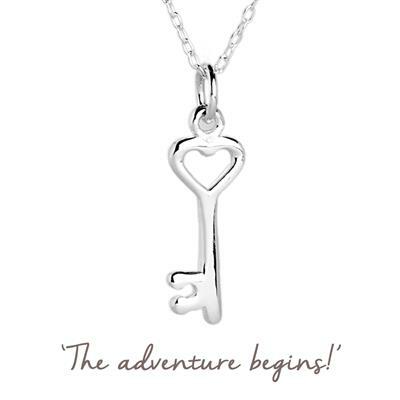 Whether you're heading off to university, buying a new house or embarking on some travelling, wear this necklace to remind yourself to embrace new beginnings. The perfect gift for: starting university, new job, new house, going travelling or for a 21st birthday present.